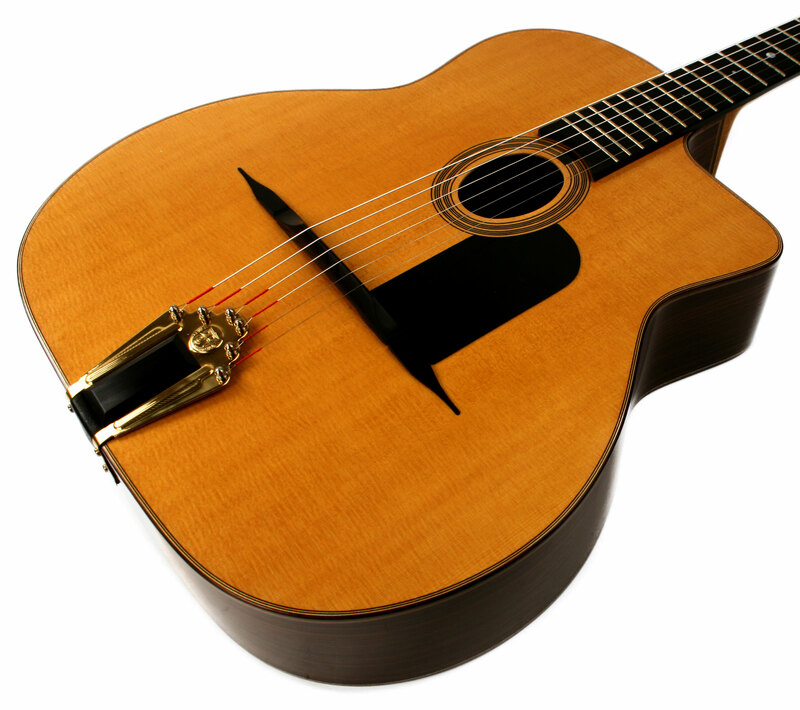 Favino style model from Canada's premiere Gypsy luthier! Nice Favino style bark on this one! These are GREAT guitars. I have one from 2010 that I love - #250. The tione has opened up and these have a nice smack and bark and other tone qualities depending upon how one voices it with string types and pick types, attack, etc. I've tried a few others by some of the great contemporary luthiers and mine just sounds better - more sound, more tone color, and more there there. Solid wood on the back and sides definitely helps as well as the pliage along the length. The quality of the work is fantastic!! !